Until relatively recently (the last 15-20 years), many of these areas in the Coastal South were pretty isolated. Travel between the villages was done by boat either by river or sea since roads were either non-existent or just horrible. And now that the roads have improved (ALOT), you can travel just a few miles and be in very different feeling spots. 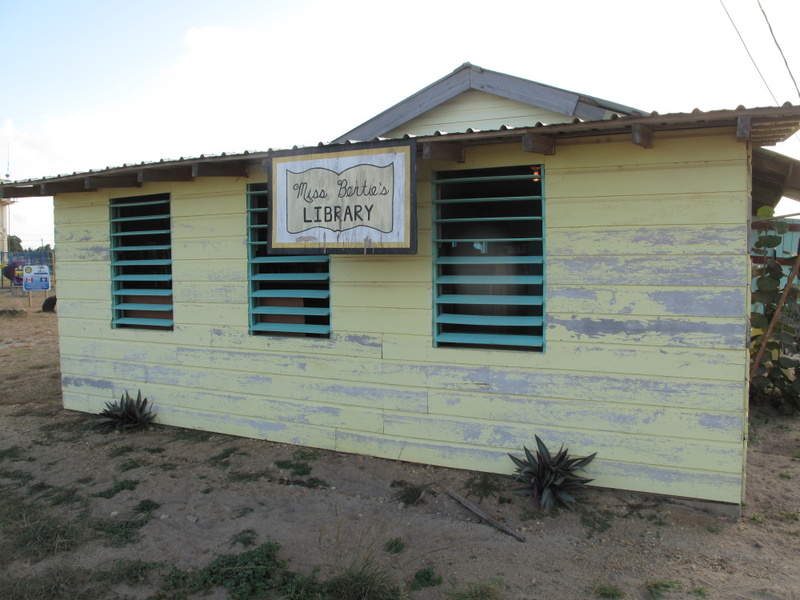 Like Hopkins is a predominantly Garifuna community. 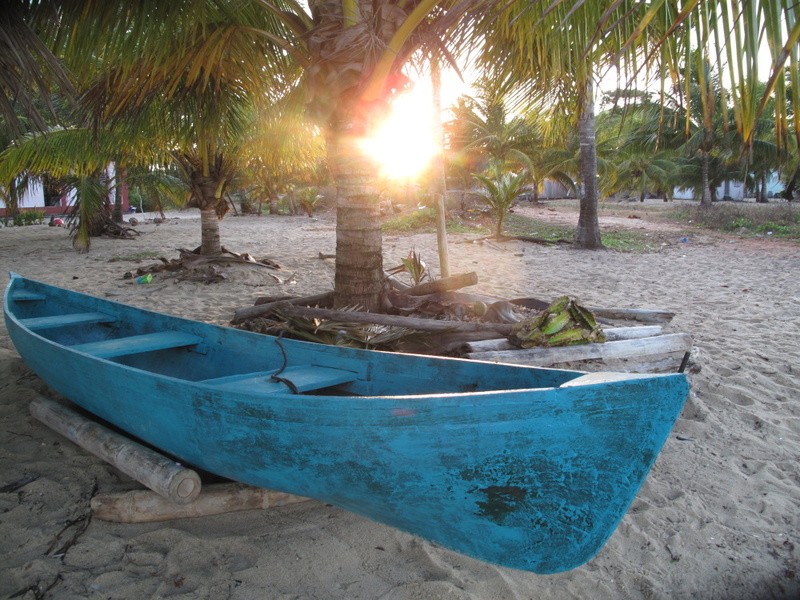 Just to the south is Sittee River Village, mostly Creole and to the west, Maya Center village which…you can get this one, is predominantly Maya. 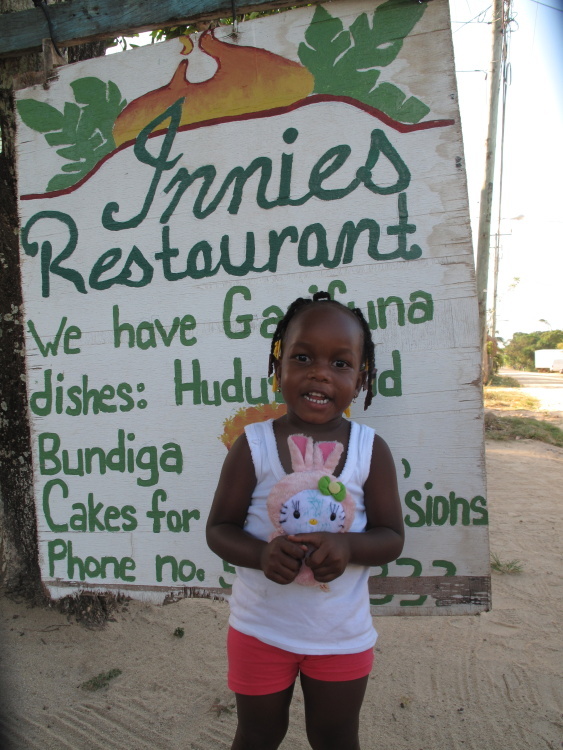 Little girl asking to pose for me with her Easter bunny at Innie’s, a popular Garifuna restaurant in Hopkins. The landscape is another thing that makes this area pretty unique. 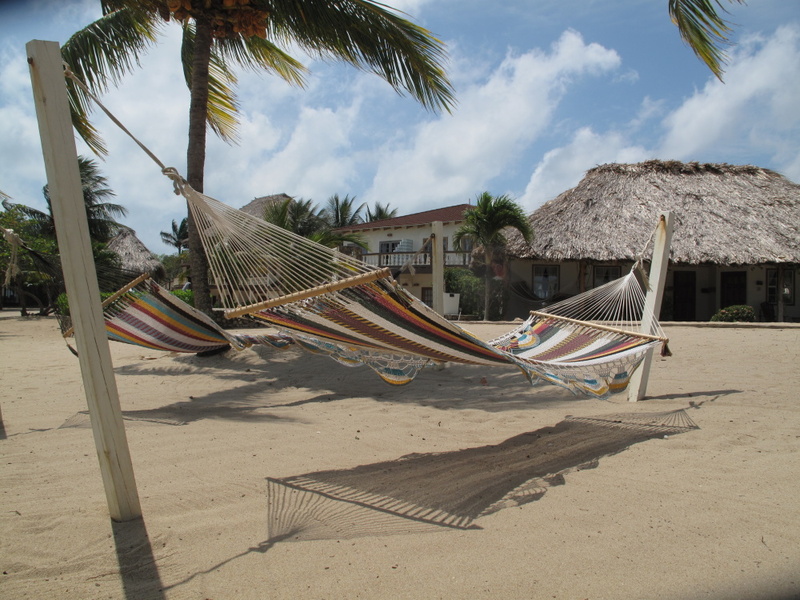 All within about 15 square miles around your hotel, you have the Maya mountains, jungle, huge wildlife preserves, rivers, gorgeous savannah, the beach and then the amazingly beautiful cayes. Not a bad place to spend some time. I absolutely love that mature trees line the road and grow almost up to the shore line. 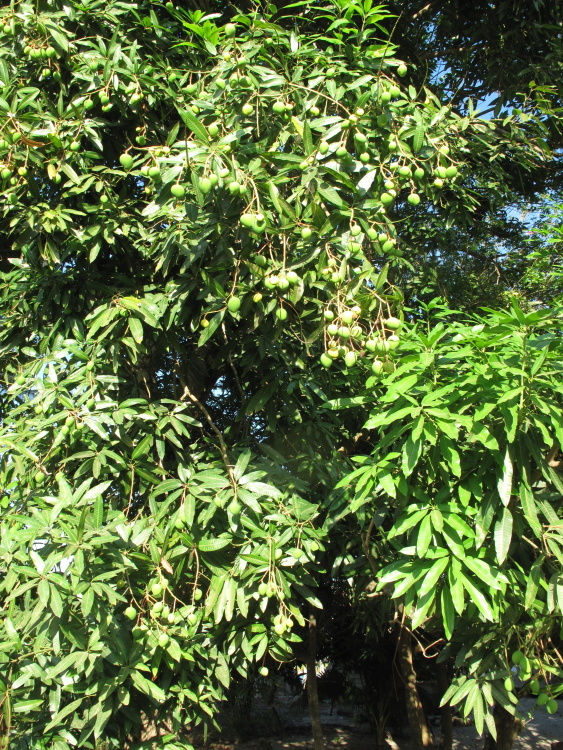 This time of year, the trees are BURSTING with mangos. 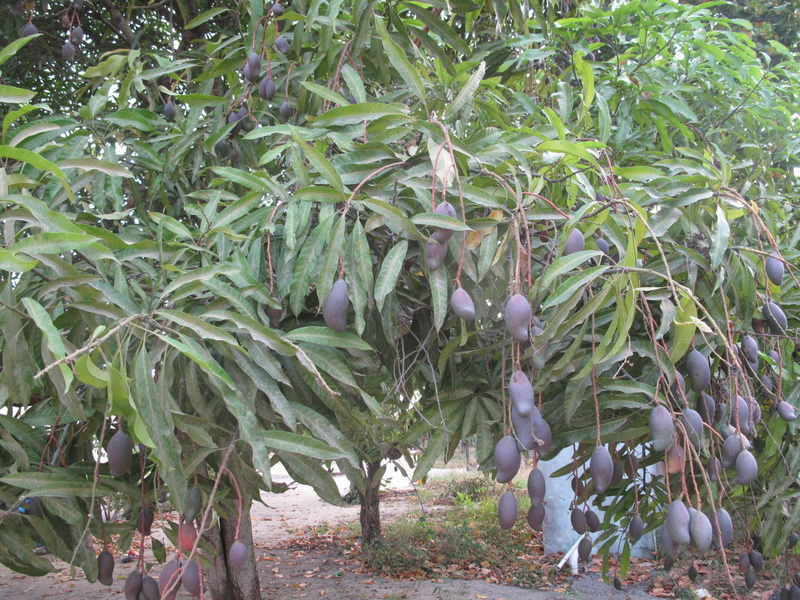 I’ve always said I would move anywhere if I got a mature mango tree in the deal. Oh and it must bear fruit year-round. Huge Hopkins trees dripping with them. And they are all going to be ready at about the same time. I’m guessing the beginning of May? There are going to be many sick humans and birds in this village. 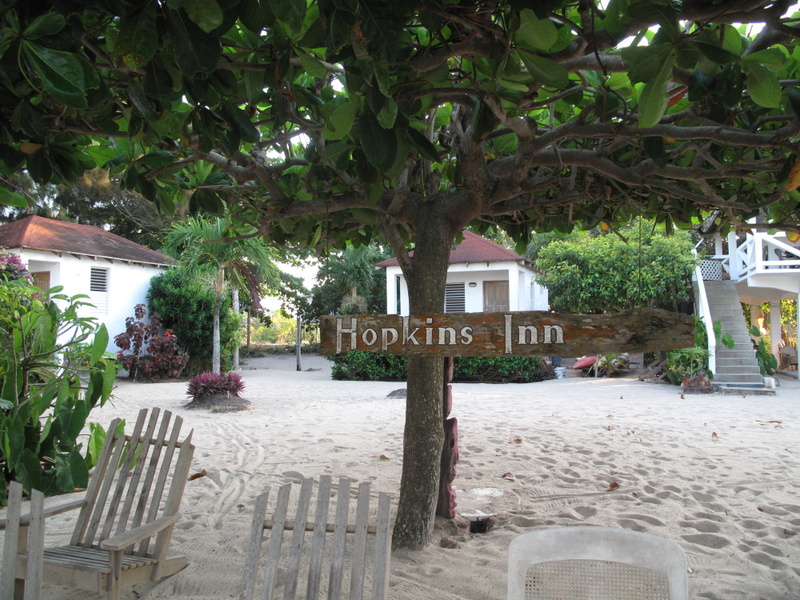 The center of Hopkins is the village proper. The four way junction where the street out to the highway meets the main or Front Street that runs parallel to the sea. 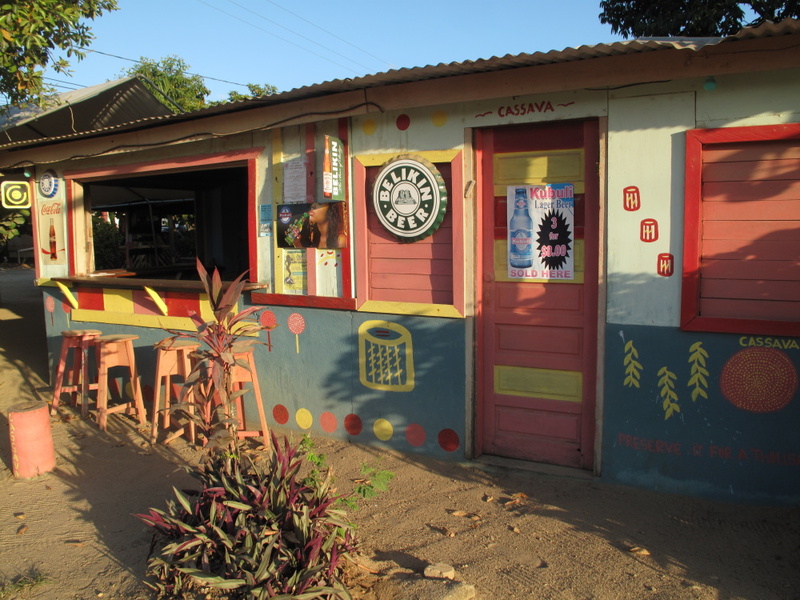 King Cassava, the popular bar, restaurant and local hang out is on the corner. I hear that there are new owners and it is not quite the hot spot it used to be. It seems very quiet while I was in town for a few days but then…it was the beginning of the week. The village is beautiful. Small, quaint, families sitting out in the front yard, guys playing dominos, packs of school kids walking right down the center of the dusty main road. 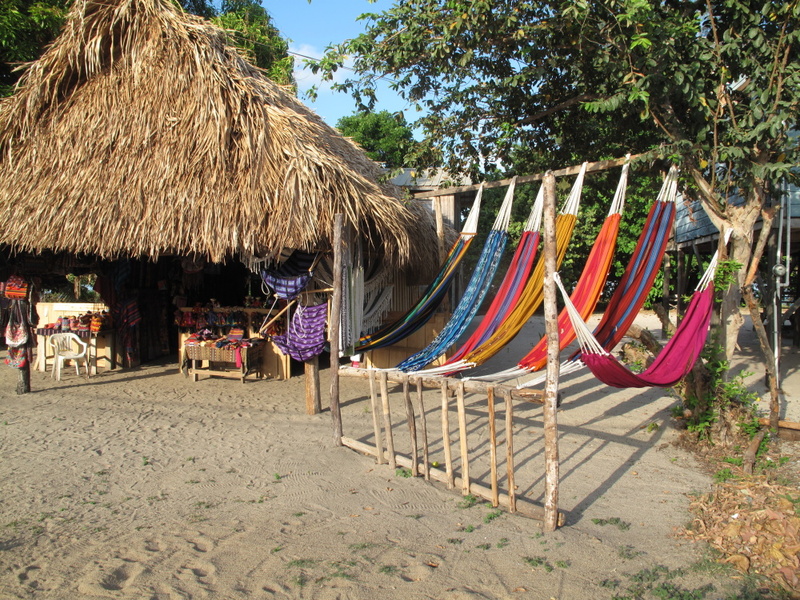 I stayed in 4 different hostels and hotels, ate at lots of restaurants, went on a few tours…I have lots to show you. But easiest just to show you the village in pictures. 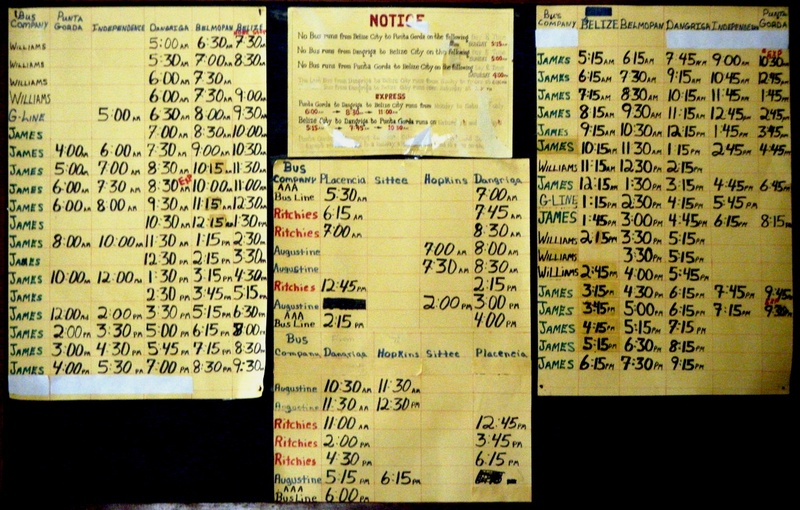 Love all the multi-tasking businesses. This one I have lots more to tell you about. But for now, you only need to know that I bought a magical potion that is going to change my life. 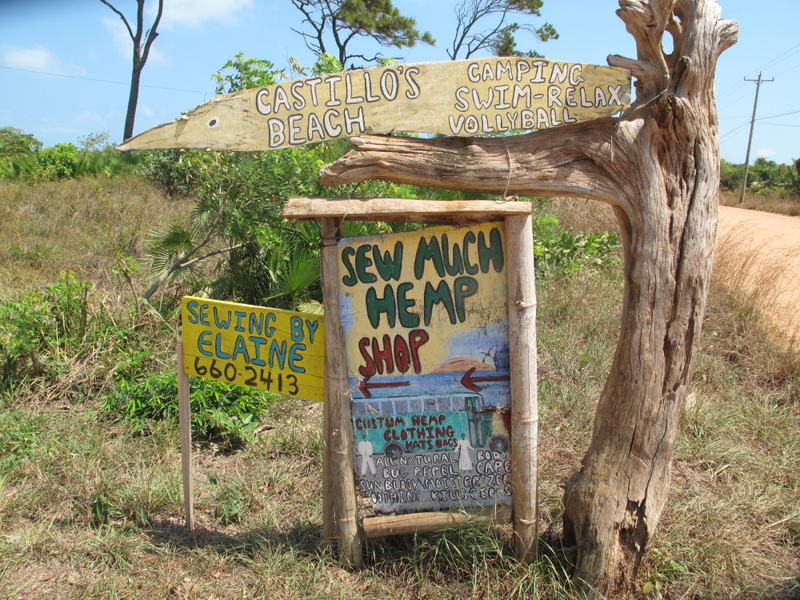 There are a few local gift shops but away from the larger resorts at the south end (or SIttee Point), it all very simple stuff. Across from the Roman Catholic Church. Local homes…each has a good sized yard. Nothing is very crowded in Hopkins. 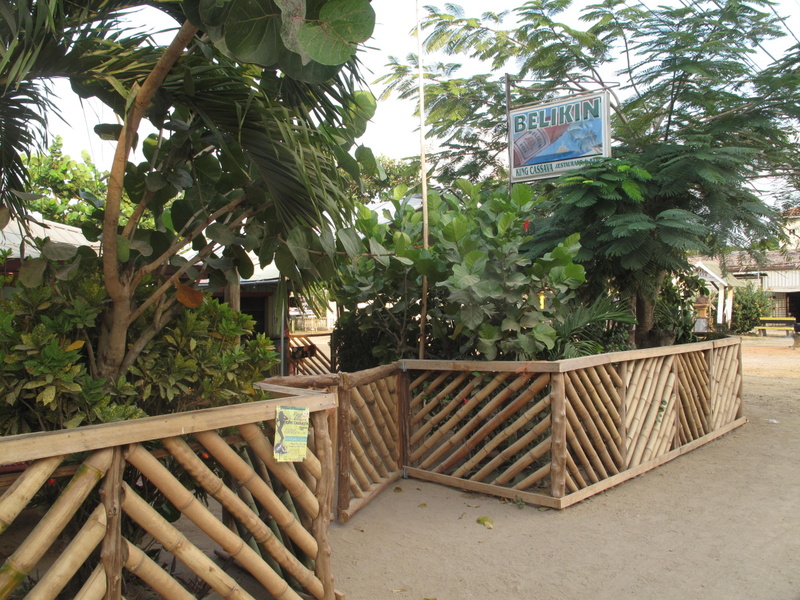 There are some inns and hotels on the beach but not that many…it’s all pretty open. Local housing and just open beach. I hear that many native Hopkins-ites (Hopkinsians?) 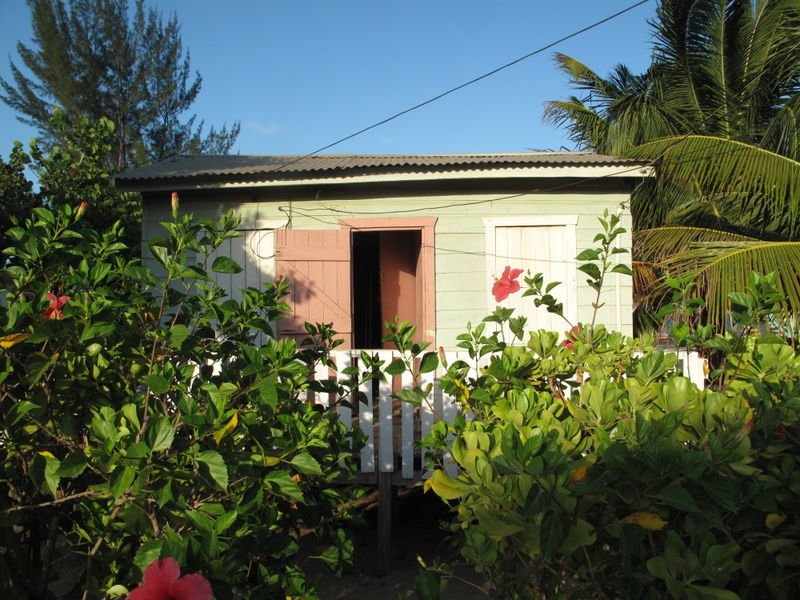 own most of the village beachfront and have no interest in selling. Could be the key to keeping Hopkins Hopkins for years to come. 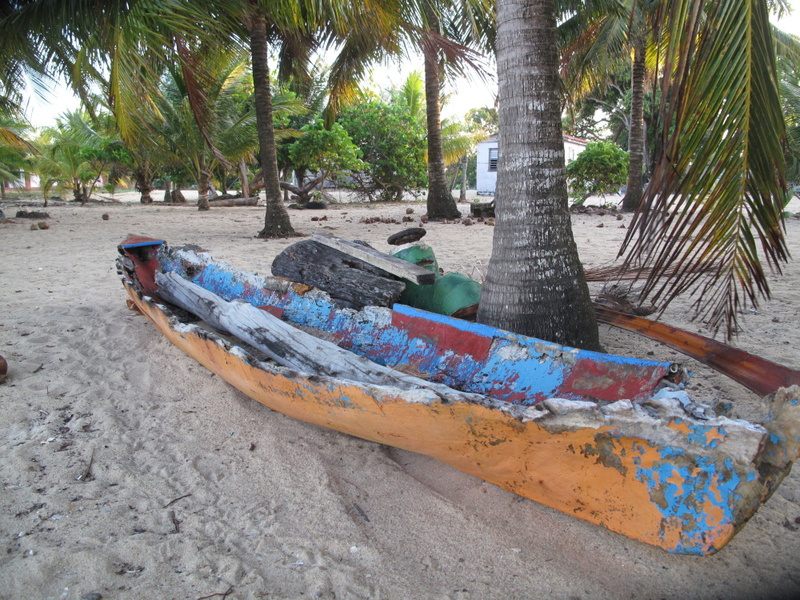 I took many many pictures of these fishing dories. As you move south along the beach, there is a strip of larger resorts. 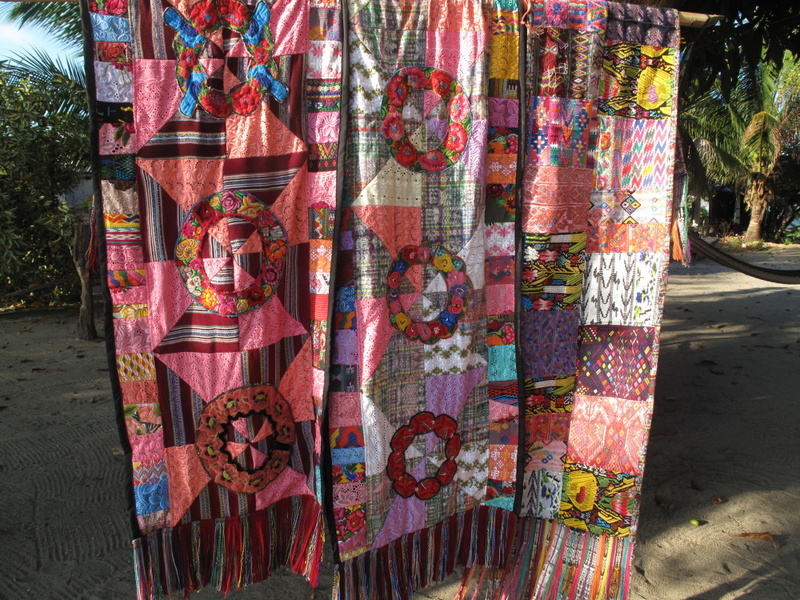 Pretty as well…and a short bike ride or walk to the village. That should give you a decent feel for the place. Stay tuned for more about my stay. And now some Ps and Qs. Flying. Easiest and fastest way FOR SURE is flying. 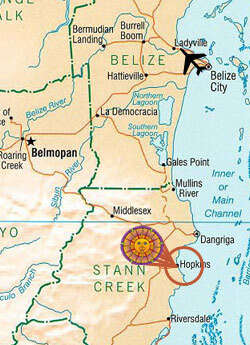 Tropic Air flies from Belize directly to Dangriga. 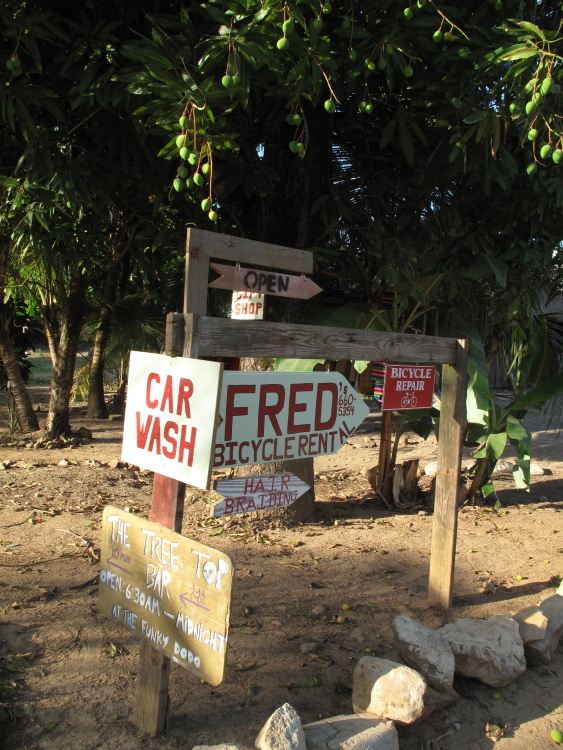 From Dangriga, it is a 30 minute taxi ride to the village. I found Julian very reliable. You can reach him at [email protected] or if you are in the country and have a phone, 650-5215. Tell Julian that Rebecca sent you. I bought him a small banana bread while I was in town. 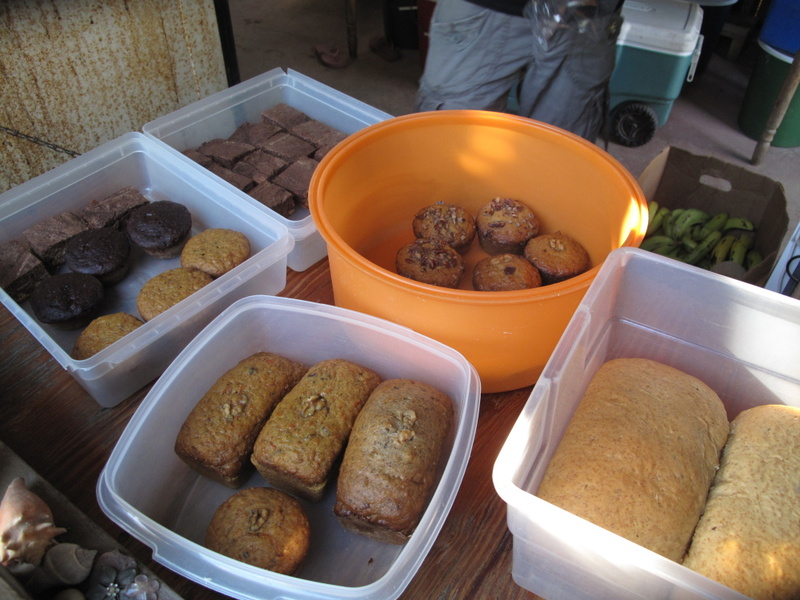 But more about this bakery later. Perhaps he’ll remember and give you a baked goods discount. 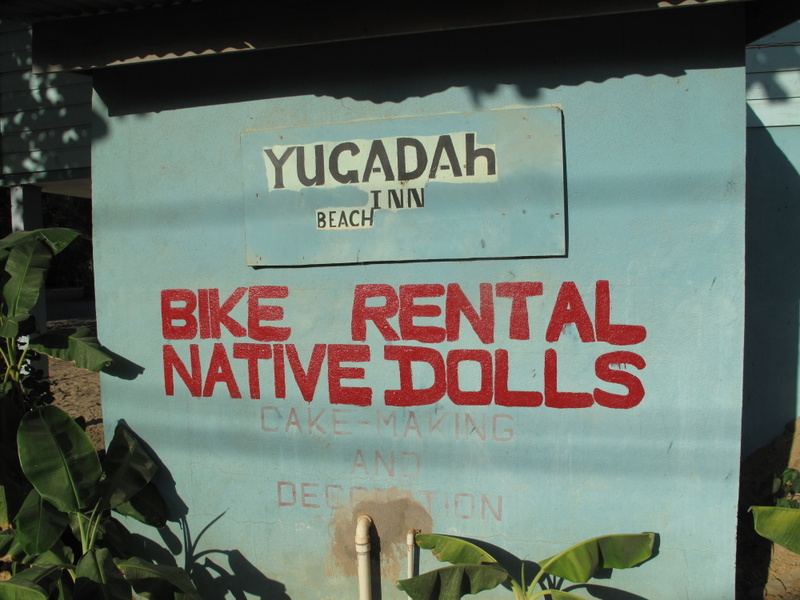 Many people visiting this area rent cars. I am not going to pretend to know anything about that but I’m very sure the world wide web can assist. The bus. The slow scenic route. 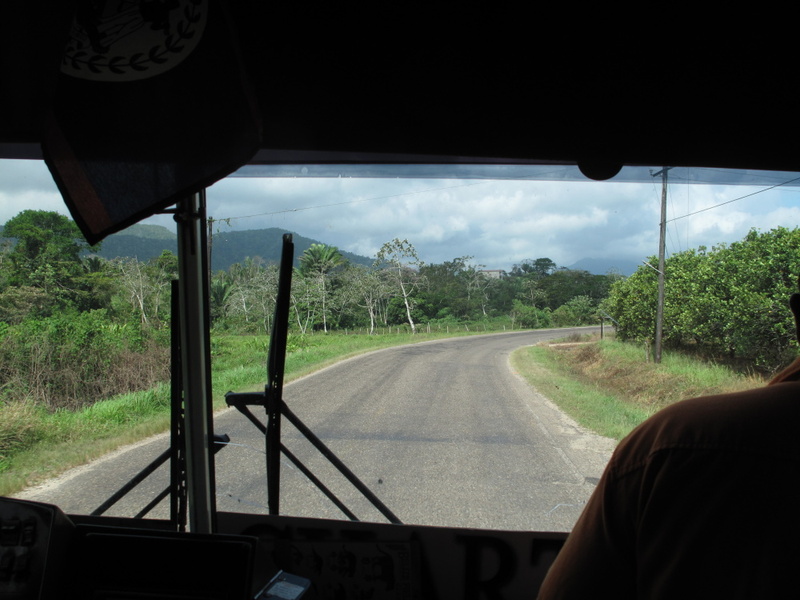 Make sure to read my tips for travelling by bus in Belize first. 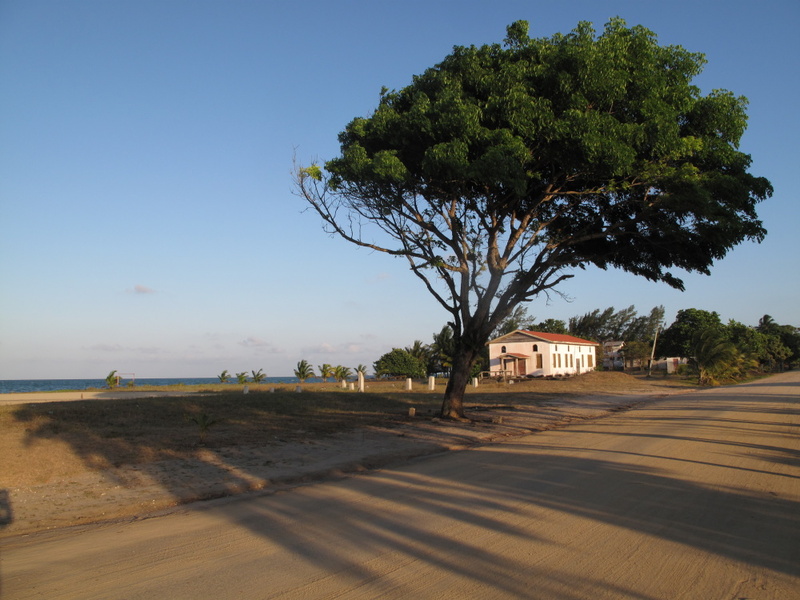 The bus leaves often from Belize City to Dangriga. Here is the schedule. Seriously! That is the schedule! The trip costs $10bzd and is 2.5 hours if you are lucky enough to get on the express ($12bzd) or 3 hours in the regular bus. 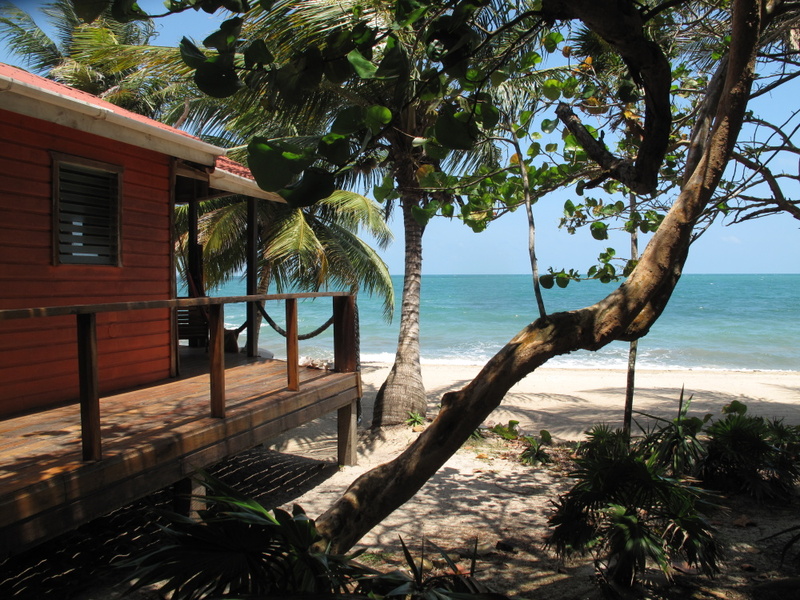 Here are even MORE details in a trip from San Pedro to Dangriga I took a few years ago. 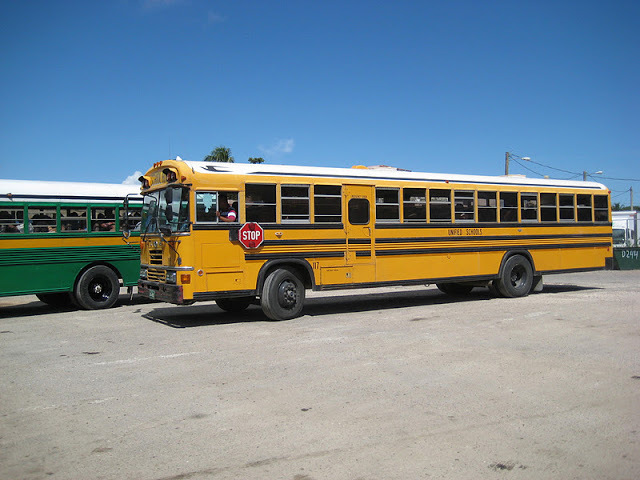 Once in Dangriga, there are only 2 buses to Hopkins. 10am and 5:15pm. For $5bzd, you can jump on the crowded bus and 45 minutes later…Hopkins. Lovely to see Hopkins again. It is such a different and charming place and we so enjoyed visiting. Not quite enough going on to live there (not even an ATM, as I recall, or it was out of order), but sometimes “getting away from it all” is just what you need. We didn’t even take our laptops! Oh, that’s great. That would have worked for us as that was our bank. Sometimes progress is good! Amazing how much of an increase of visitors in Hopkins now that the Belize Bank ATM is up and working on a consistent basis. It changed the town for the better. Not having to spend 2 hours on a bus JUST to go and get some money has really helped. Oh How I miss Hopkins! Was there in February and can not wait to be back! The cool thing about Hopkins? Or one of them…it changes SLOWLY! Very nice tour. 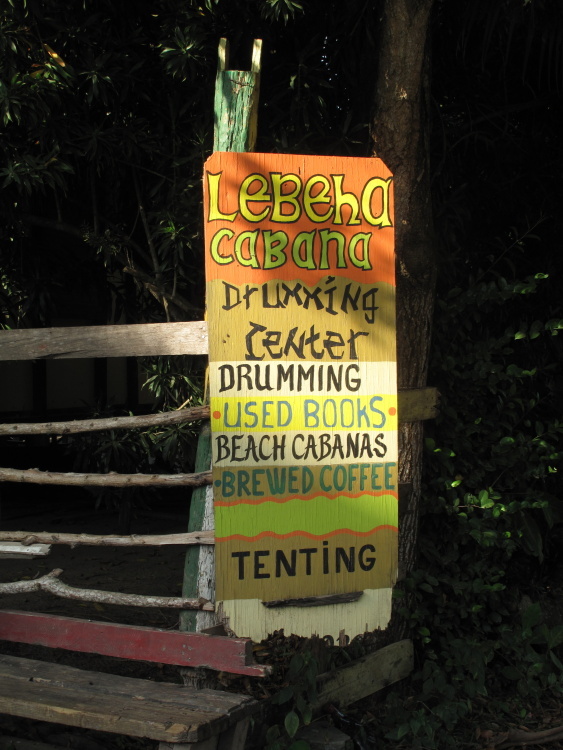 We *thought* we visited Hopkins, briefly, last year en route to Placencia but this looks like so much more and better than we stumbled upon. 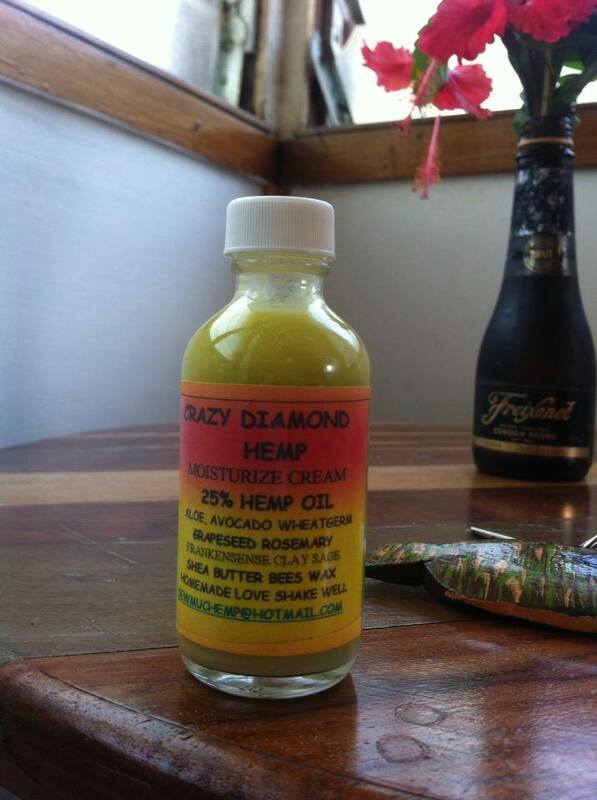 Can’t wait to hear about the magical properties of the Crazy Diamond lotion…. I was there in Sept 2011 and it wasn’t love at first sight. But the more, I got around, the more the charm hit me. 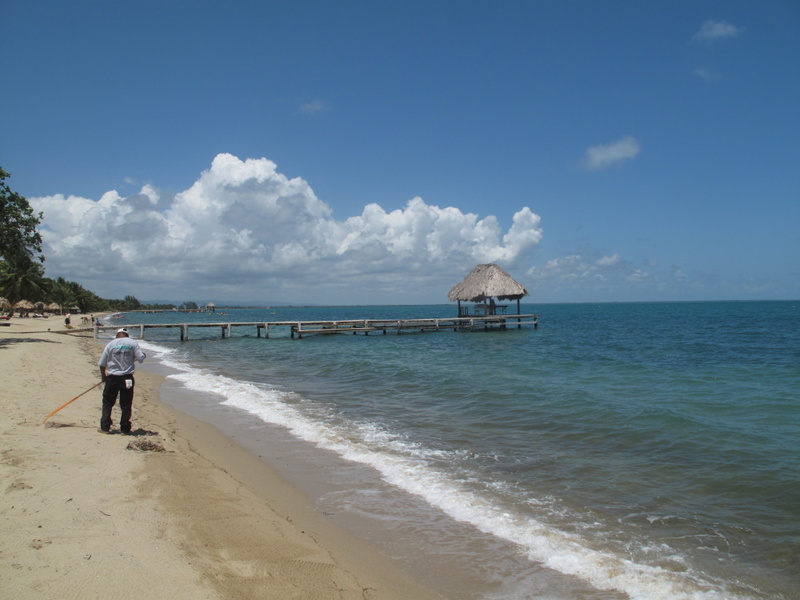 And I must point out…my love of San Pedro was not first sight either. Sometimes ya gotta work for it. Thanks! 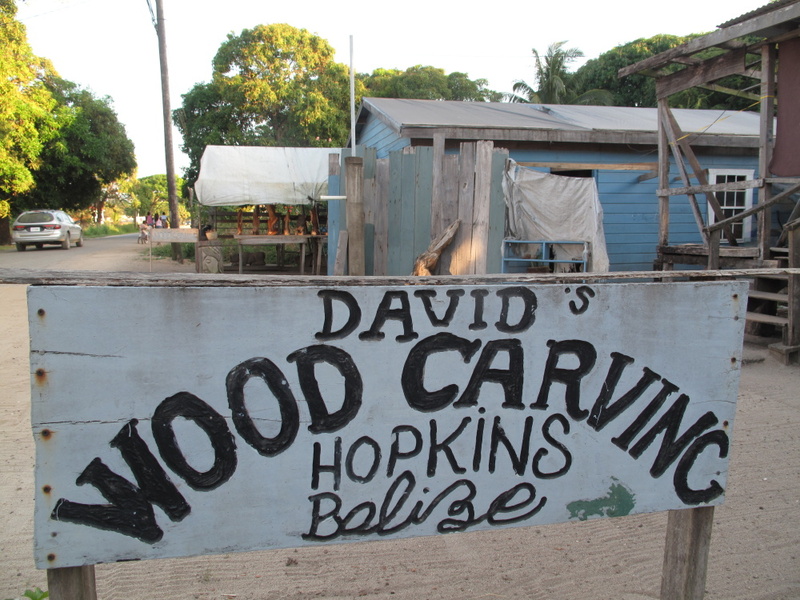 Hopkins was the first place we hit after landing in Belize City several years ago. 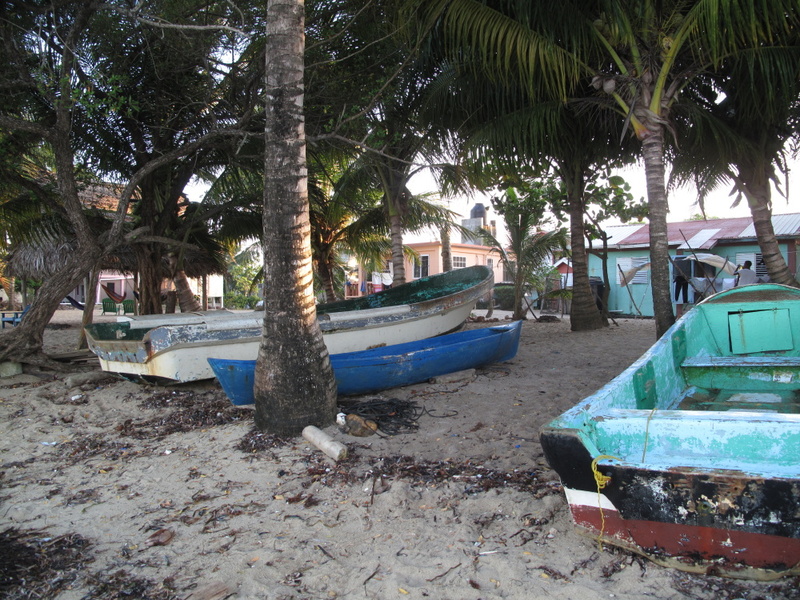 It was the feel of that town and the people who lived there that helped us greatly with our decision to move to Belize. We have some GREAT friends in Hopkins and spend quite a bit of time there. I hope the new found “tourism” won’t change the feel. Since I first went (only three years ago), it hasn’t changed much at all. Some more building down by Sittee Point. Let’s see what the road does.